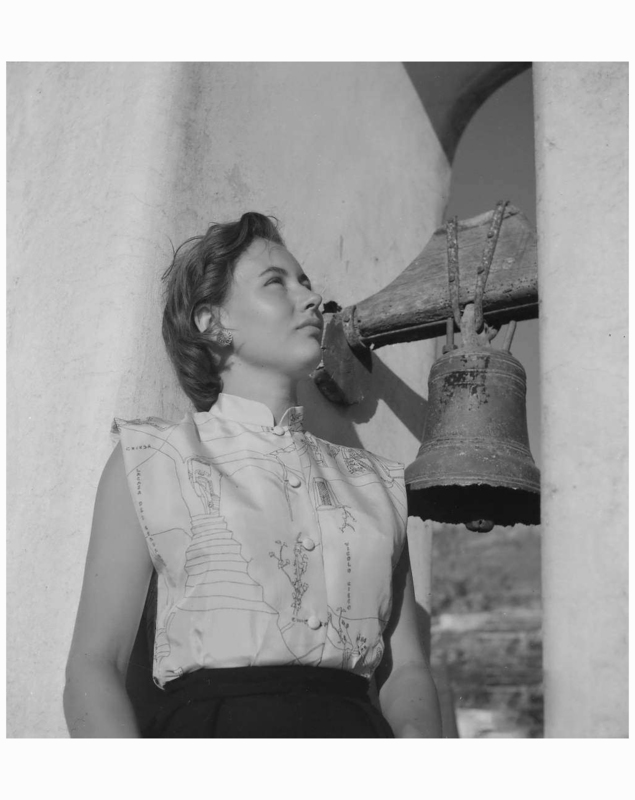 Model wearing shirt, trousers, belt and necklace all by Emilio Pucci, 1950/1951. 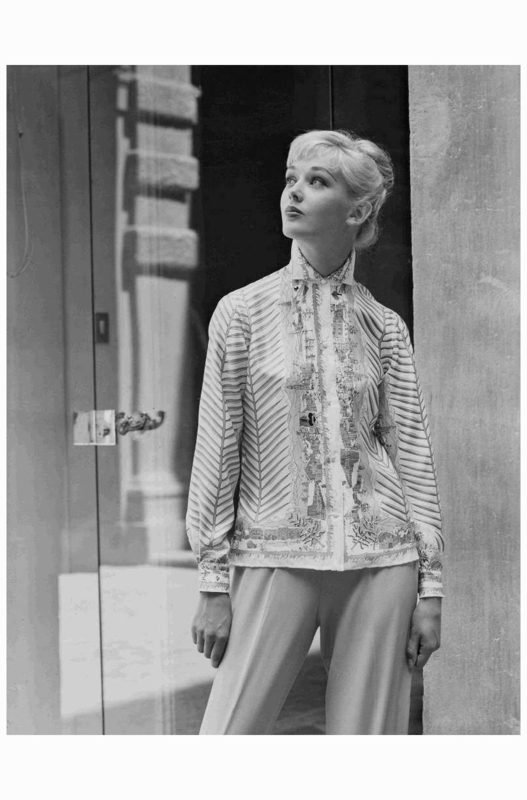 The silk shirt is printed with Pucci’s design “Scorci Capresi”. 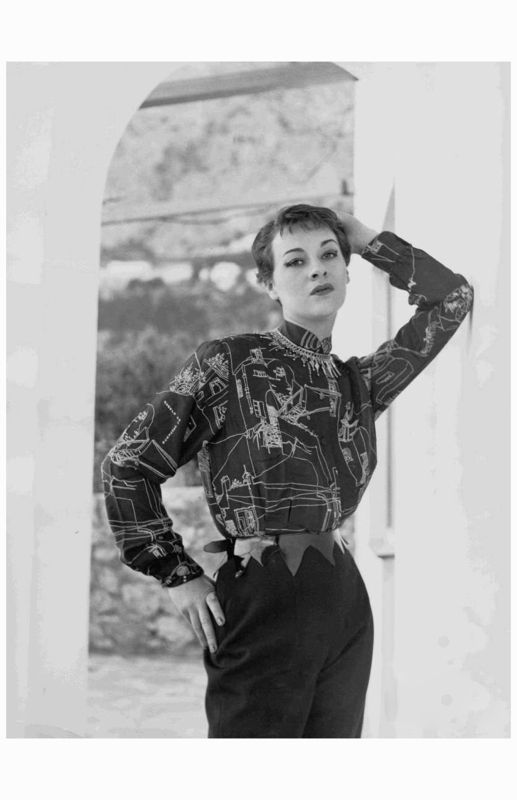 Silk shirt designed by Emilio Pucci in 1950/1951. 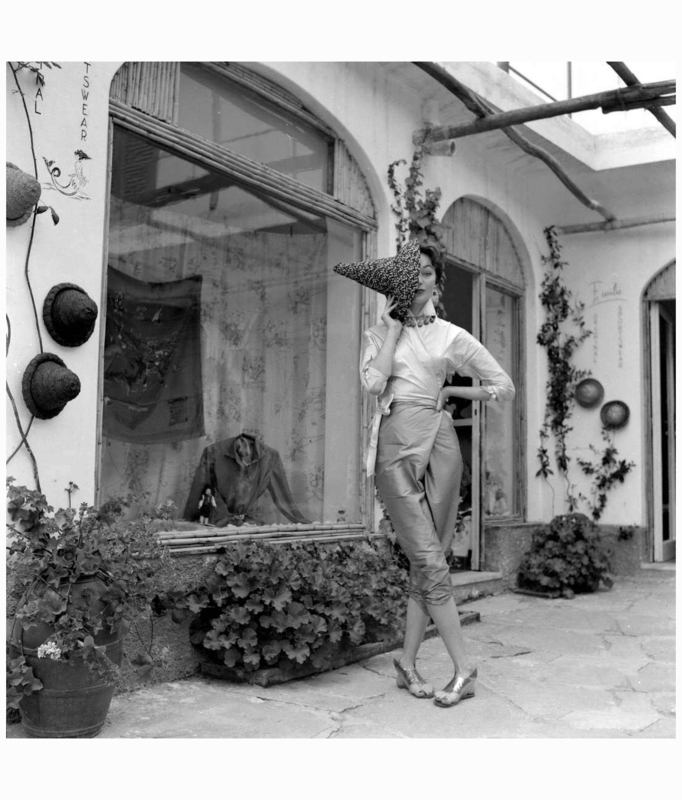 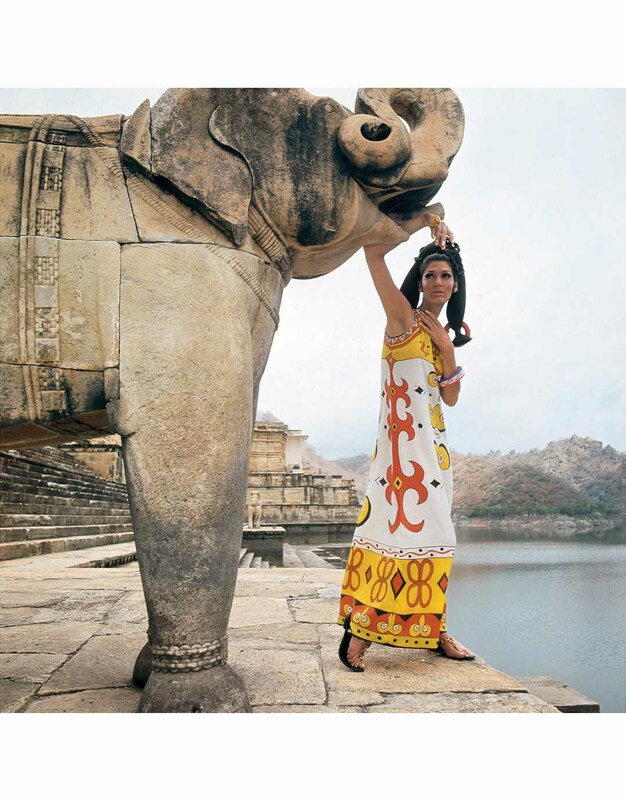 Model wearing Emilio Pucci, 1958/1959. 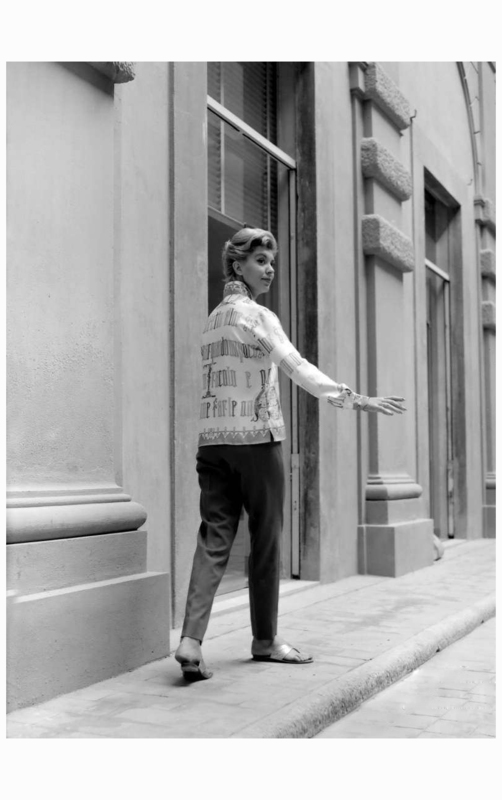 wearing a printed silk shirt designed by Emilio Pucci.